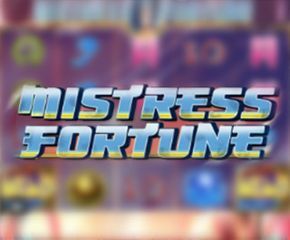 Visit the land of Asia and play this amazing slot from Blueprint Gaming known as the Mistress of Fortune. Take back home some great prizes and an amazing experience. It is a fantasy-themed slot game that is developed by the Blueprint Gaming. This slot has an Asian style theme and includes a mixture of soothing music, flowers, odd fireballs, dragons and battles. The design of the slot is rich with a definite Asian flavour and is also easily available on all Android mobile devices, PCs, Desktops, iOS devices and tablet devices. The slot comes with an excellent RTP percentage of 94.95%. 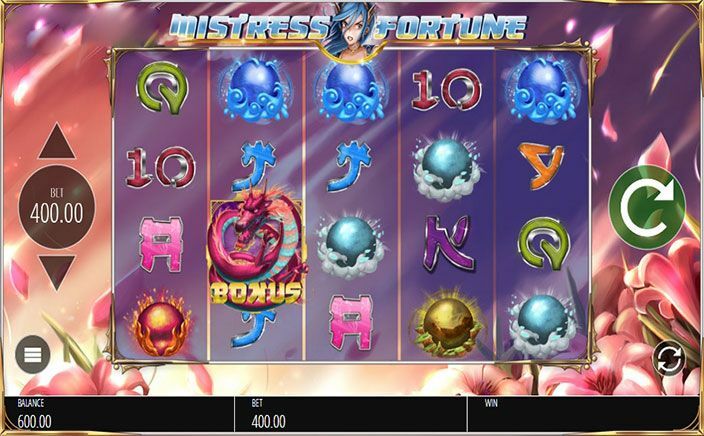 Mistress of Fortune is a well-designed with five reels, four rows and forty paylines. The backdrop of the slot is purple and pink with flower. The stylish transparent reels with view of pink blossom blowing in the wind and on the top screen Mistress of Fortune looks over the proceedings. Players can have a min bet of £0.40 per spin to a max bet of £400.00 per spin. There are four higher-value symbols present in the slot including fire, wind, water and earth whereas lower value symbols are represented by Nine, Ten, Jack, Queen, King and Ace. The wild symbol of the slot is big, gold wild which will replace all the others to help players forming winning combos whereas the red dragon is the scatter symbol of the slot. This feature is generated by landing of three of scatter symbol the red dragon anywhere on the reels – two, three and four. One will now get just five free-spins but those can be regenerated by landing of more scatter symbols up to the maximum limit of two hundred and fifty-five. The mystery symbol is attached to the reel when the free-spins are underway but when it lands all of the instances then it will change into the matching ones thus helping out to players to win some bigger wins. Mistress of Fortune is smooth and simple playing game. The slot has a free-spin round which has an offer of big wins for the players. The fantastic graphics, soothing animations and Asian soundtrack have done complete justice to its theme. The gameplay is very entertaining and it keeps its players attracted towards the slot. One has an opportunity of enjoying a jackpot amount as big as of 500 times of their bet. In all, the slot is worth checking and playing out.